Close your eyes and imagine your worst nightmare: an accident has occurred at your workplace. The worker involved has been critically injured, or even worse, the worker has died. It can sometimes be easy to lose sight of the steps that must immediately follow in the wake of a workplace tragedy. However, there are steps in place to ensure that you and your workplace are protected, that no other workers get injured in the process of a rescue, and that a root cause can be identified to prevent an accident of the same nature from ever happening again. The focus of the accident investigation must remain on the accident, rather than the injury. It is easy to get distracted or draw conclusions that are based on first impressions, but the result of doing so will be inaccurate recommendations and inadequate controls. In the event of a workplace tragedy, there will be many people that have ideas about what to do first. However, the first step in the case of a critical injury of fatality is to call 911 to get emergency services on route immediately. This must include police if there is a fatality or if there was workplace violence involved. The primary concern in the direct aftermath of an accident is the safety of the injured worker, and the safety of others. If administering first aid will put another worker in danger, then first aid should not be administered until trained emergency personnel arrive. For example, if a worker was injured in a confined space, and entering the space would put another at risk, then first aid should not be administered until trained help arrives. Provided that offering first aid does not place anyone at greater risk, first aid should be administered if it is required until emergency services arrive. There may be parallel investigations at this stage. The Ministry of Labour, the police, and the JHSC may all be conducting their own investigations concurrently. The role of the employer is to work alongside each investigation, provide any documentation requested, and cooperate fully with all investigations. To gather evidence, the designated investigator should document and itemize everything requiring explanation. The investigator should take down names of witnesses, take photos of the scene, take applicable measurements or draw immediately observable facts. It is best practice to conduct interviews immediately. The purpose of an interview is fact-finding, not fault-finding or blame-laying. Ask simple, non-suggestive, and open-ended questions. Once you are able to organize the information and separate facts from opinions, conclusions must be drawn to determine immediate and root causes. The final report will contain a detailed description of the accident, the harm created, the immediate and root cause(s), temporary or permanent controls implemented, and recommendations. Attach any photos, interview notes, drawings, and other applicable supporting documents. Recommendations made to management should be specific and detailed, and focus on root causes. Ensure that recommendations are being followed through the use of a timeline for corrective action, as well as monitoring, and effective training and education. Sometimes, when a workplace accident occurs, emotions take over, and the steps are forgotten. It is by effective training, the support of a sound JHSC, and a proactive accident prevention program that employers can ensure that they hopefully never have to follow the seven steps listed above. However, in the event that the worst happens in your workplace, be ready by being trained, being aware of the steps, and by being prepared to be cooperative. In times of tragedy or trauma, people look to strong leaders for guidance and example of how they should be acting. So, keep calm, follow the seven steps, and take measures to ensure that no accident of that nature can ever happen again. Download our free accident investigation form today. (g) causes the loss of sight in an eye. Clause 1(d) – The MOL indicates that it will interpret the phrase “fracture of a leg or arm” to include the fracture of a “wrist, hand, ankle or foot”. This means that if an employee fractures a “wrist, hand, ankle or foot”, an employer’s duty to notify the MOL will be triggered. Clause 1(d) – The MOL indicates that it will treat the fracture of “more than one finger or more than one toe” as a critical injury if it is an injury of a “serious nature”. The MOL has not provided further guidance regarding the interpretation of the phrase “serious nature”. Clause 1(e) – The MOL indicates that if the amputation of “more than one finger or more than one toe” will constitute a critical injury if it is an injury of a “serious nature”. The MOL’s publication suggests that that discretion will be afforded to employers to determine whether or not an injury meets the “of a serious nature” threshold, on a case-by-case basis. It also suggests that MOL Inspectors who are reviewing the actions of an employer will have discretion to retroactively determine whether an employer erred in making its determination as to whether or not an injury met the “of a serious nature” threshold. While the MOL’s publication does not technically constitute law, employers should be aware of how certain classifications of injuries will be treated by the MOL and its Inspectors. Canada knows asbestos all too well. The country was one of the world’s main producers of the naturally occurring carcinogenic mineral. Its relationship with asbestos was so intimate that a small, former mining town in Quebec is named after asbestos. Asbestos remains the leading cause of workplace-related death in Canada. An estimated 150,000 Canadians are exposed to asbestos at work, mainly in the construction and trade industries. Most asbestos-related diseases have a long latency period, or the amount of time between first exposure to asbestos and the start of symptoms. The number of deaths related to mesothelioma, a rare cancer caused by asbestos exposure, increased by 60 percent between 2000 and 2012. Because of the latency period and Canada’s long history with asbestos, experts expect those numbers to continue to grow. Canadian lawmakers recently made an important first step in combatting the threat of asbestos: Announcing a commitment to ban its use by 2018. The comprehensive ban is a longtime coming, and it covers the manufacture of asbestos-containing products as well as imports of the toxic mineral. However, the threat of asbestos exposure doesn’t end with the ban. Employers should be diligent and informed when it comes to the latest safety procedures for employees working in high-risk occupations. How Might the Asbestos Ban Affect the Industry? Canada was once at the forefront of the asbestos industry, but the country’s production of the deadly mineral came to a halt in 2012 with the closing of Quebec’s two largest asbestos mines. But that led to a rise in asbestos-containing imports such as brake pads and brake linings. The Canadian Labour Congress (CLC), Canada’s largest union, reports imports of asbestos products grew from $4.7 million in 2011 to $8.2 million in 2015. Asbestos is banned in most of the world’s industrialized nations — including all 28 countries of the European Union — but Canada continues to import asbestos products from China, South Korea, Peru and Chile. The asbestos ban is an important step for protecting future generations of workers in Canada. While the asbestos mining industry is no longer in operation, Canadian workers remain at risk for asbestos exposure from imported products, especially mechanics and laborers in the automotive industry. It is also important to note an asbestos ban doesn’t remove the deadly mineral from Canadian infrastructure. Much like in the U.S., houses, schools and office buildings built before the 1980s likely contain asbestos construction materials such as insulation, drywall, tile flooring and gaskets. These materials are virtually safe if left intact, but when they are cut, grinded, demolished or in any other way disturbed, toxic asbestos fibers become airborne. Inhaling or swallowing these microscopic fibers can lead to serious health issues, including mesothelioma cancer. Mesothelioma and other asbestos-related diseases can take decades to develop, meaning an asbestos ban won’t have an immediate impact on Canadians. It could take at least 20 years before the ban produces significant results. If you are an employer, constructor or supervisor involved in building maintenance, repair or alteration, it is essential to be well-informed about asbestos hazards. All workers who preform duties that may disturb asbestos-containing products should be able to identify these materials and take the necessary precautions when working around them. Employers — even those not at risk for asbestos exposure — should be familiar with these procedures and be able to answer any questions employees may have regarding asbestos safety. Keeping your employees safe should be the No. 1 priority. OSG offers training in Asbestos Awareness that can aid you in keeping your employees safe. Also, keep your employees informed about the dangers of asbestos exposure if the proper precautions are not taken. Be aware of early mesothelioma warning signs such as breathlessness, chronic cough and chest pain. Mesothelioma has no cure, but detecting it in the early cancer stages is the key to a longer survival. With such a deep history, the threat of asbestos exposure in Canada will likely never dissipate. The asbestos ban is a necessary and vital first step, but it is imperative for Canadians and especially Canadian employers to remain cautious and be proactive. Imagine, it’s the middle of the afternoon and you’re at work. You receive an email sent by a Manager to the whole company. You learn a co-worker, who you happen to be close with, has suffered a life-threatening injury and has been rushed to the hospital. Your stomach drops. Your breathing becomes rapid and shallow, and your eyes fill with tears. Questions and “what ifs” flood your mind and everything becomes a blur. No worker wants to experience or witness a workplace fatality or serious injury; however, workplaces need to have a strategy in place that will mitigate the fallout of a workplace tragedy. The strategy will include requirements for communication and a plan to provide ongoing support to employees. First and foremost, employers must ensure the safety of their employees, if the incident occurs on-site. Emergency Response plans should be put into place when a severe accident occurs. Emergency evacuation routes and designated meeting locations should be included in the plan, and attendance should be taken at the meeting point. Communicate to staff regarding the incident as quickly as possible. Provide the known and non-confidential details with your employees, and if further details will follow, tell them when and how they will be communicated. Hold a meeting to share new information and outline how employees may help those involved in the incident. Individuals handle grief in a variety of ways, some like their personal space, while others like to surround themselves with people. Employees will need support from their co-workers and management. Offer a meeting in a boardroom, or hold a luncheon where people can talk, listen, or just be there with others during this difficult time. If there was a fatality, make arrangements for staff to attend the funeral if they wish to do so without docking their time. Recognize that this type of incident may affect some more so than others. Be understanding that morale and productivity may be low and employees may be distracted. Acknowledge staff that this is okay. They need to take their time to come to terms with what has happened, so that they feel able to resume work safely. Employees should be reminded of the resources that are available to them to help them cope, whether that is an Employee Assistance Program (EAP), counselling services, having HR and management available to talk, or other resources that are part of your wellness program. Losing a co-worker can be tough to handle. Employers can honour the worker by simply hosting an event to honour the deceased. For something that is more lasting, employers can plant a tree, name a bench or lounge after the worker, donate to a charity of the family’s choosing, or create a scholarship in their name. By honouring the worker who has lost their life due to a workplace incident, co-workers and the family will feel more supported by the employer as it displays their compassion. No employer wants their workers to become injured or sick, or even die because of a workplace incident. Unfortunately, it happens. Employers can do their part by providing health and safety training, ensuring that they are complying with the Ministry of Labour requirements, and instilling best work practices for their workers to ensure due diligence is being met and their workers are going home the way they arrived to work. It is important to have a program in place for if and when a serious incident occurs at your workplace to mitigate complications and to provide immediate support to those involved. Check out an amazing charity dedicated to supporting families after a workplace fatality, life-altering injury, or occupational support group, Threads of Life. At OSG, we regularily partner with Threads of Life to sponsor presentations for our clients. You can read more about our partnership here. At OSG, all of our staff are Health and Safety Leaders. This month, we are featuring two outstanding leaders: James Kruck and Ben Bachl. James Kruck joined the OSG Curriculum Development team one year ago. 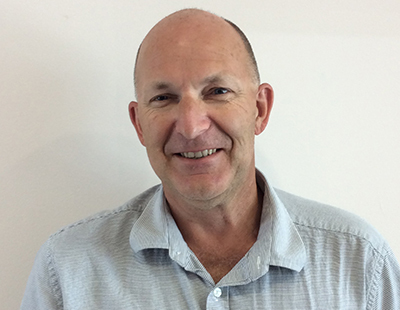 As a Curriculum Developer, James prides himself on developing unique course materials that engage participants and help protect workers against workplace accidents. In his first year with OSG, James has developed and redesigned several courses, including many lifting device titles. 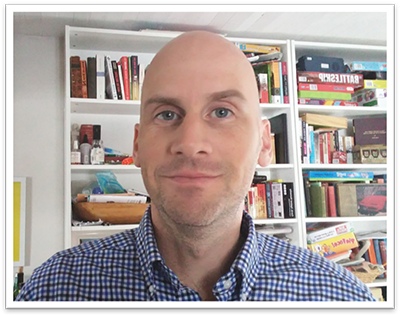 He is known by his colleagues for his creative and original PowerPoint presentations, and his perseverance for making programs the best that they can be for the learners. He faces challenges head-on, and the words “that can’t be done,” do not exist in his vocabulary. His professional goal is to make the classroom experience enjoyable and informative for all participants. Outside of work, James enjoys spending time outdoors with his with family. He once camped from BC to Ontario with his wife and two toddlers – he is a true adventurer! He also firmly believes that the best sport played on ice is curling. Ben Bachl has been a member of OSG’s training team for two years and counting. He is a licensed aircraft mechanic, and has years of health and safety experience in a variety of industries. He is dedicated to sharing the knowledge that he has gained through his experiences, and has a professional goal of helping others experience successes related to making workplaces safer. He believes that safe work boosts efficiencies and productivity. Ben hopes to retire with peace of mind in knowing that the work he did made a difference. A fiercely loyal friend and a family man who likes to enjoy the little things life has to offer. Ben is an avid and passionate boater, and is known around the office and by clients as “The Boat Guy.” He plans to boat until the day the waters run dry! Next time you are in OSG’s London office, say hello to James and/or Ben. They are OSG Safety Leaders who embody safety culture in the workplace. An incident can be defined as a sudden, unplanned event that causes or could have caused harm to a person, environment, or property. Incidents and accidents can happen in any workplace, at anytime. Failure to properly investigate an incident or accident, and determine its root cause, can be costly. A proper investigation helps to measure the effectiveness of your company’s health and safety program, reveal hazards that were not identified during workplace inspections, examine actual events, and reveal potential trends. Our course is designed to provide managers, supervisors, and health and safety representatives with the information necessary to carry out their investigative duties effectively. We offer this course online or on-site at your workplace! Learn more today! 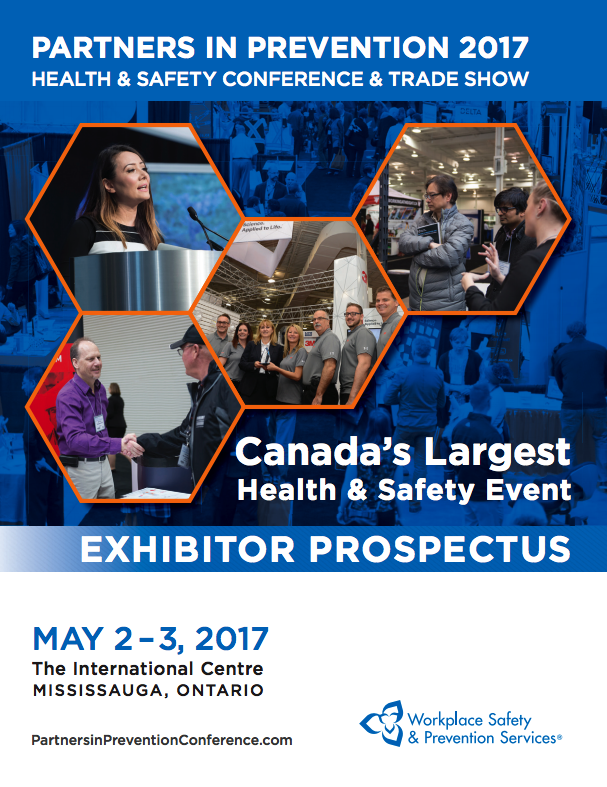 The Partners in Prevention Annual Conference and Trade Show is Canada’s largest health and safety event. OSG is proud to announce that we will be exhibiting at the 2017 Trade Show on May 2nd & 3rd in Mississauga! This is surely an event you do not want to miss, use our complimentary trade show pass now! The National Day of Mourning is held every year on April 28th to commemorate those hurt or who lost their lives while on the job and to remember the importance of workplace health and safety. On parliament hill, and at all federal buildings, Canadian flags will be put at half-mast. Around the nation, candles are lit, people wear commemorative clothing, lay wreaths, and pause for a moment of silence at 11:00am. Learn more and print a poster for your office today! Previous Post Working at Heights Construction Deadline Has Been Extended!